A 12-day trek brings you to the Gokyo Lake Valley up the Dudh Kosi river from the Sherpa villages of Namche Bazaar and Khumjung. 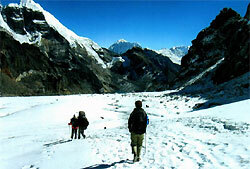 It is less touristy area than the traditional route to Kalapathar and EBC. The day - hike to the Gokyo Ri - 5360m. on day 7th allows you to look down on the vast Ngozumpa Glacier and have the great panorama views of four of the world's ten highest peaks Everest, Lhotse, Cho Oyu and Makalu. Our return route to Namche Bazaar will be via the Sherpa villages of Phortse and the great Tyangboche Monastery. 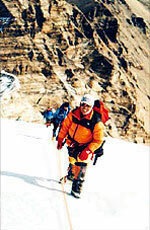 This trek is considered as classic trek and suitable for average people. If you are moderately fit and have a sense of adventure you will enjoy this trek. The program is designed to acclimatize you gradually and not to experience high altitude sickness. However you are requested to check your altitude fitness and the itinerary. Please note that the following program is prepared in the fact basis however things can be change in some circumstances but adjustments will have to make during the trekking. We request you to be flexible with the situation to enjoy yourself. This trek is designed for teahouse-lodge accommodation arrangement, our professional mountain guide and porters handle everything understanding your interest and needs of that time. Day 03: Rest at Namche for acclimatization. Early morning visit Everest view point for splendid views of Himalayas with Sun rise. Day 12: Fly from Lukla to Kathmandu, trip ends. 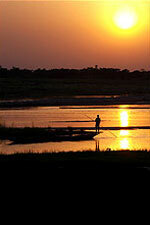 - 3-meals per day and overnight accommodation in Hotel/Lodges along the trail. - Personal expenses such as telephone calls, alcoholic beverages, bottle drinks, donations, tips etc..